More than 300 attorneys and judges attended the Bench-Bar & Annual Conference on Oct. 14-15, 2011 at The Borgata in Atlantic City, N.J.
Chancellor Rudolph Garcia and Higginbotham lecturer Eugene Robinson meet before the Sept. 27, 2011 Quarterly Meeting and Luncheon. More than 900 people jammed the ballroom at the Hyatt at The Bellevue on March 11, 2011 to hear from U.S. Supreme Court Justice Sonya Sotomayor. 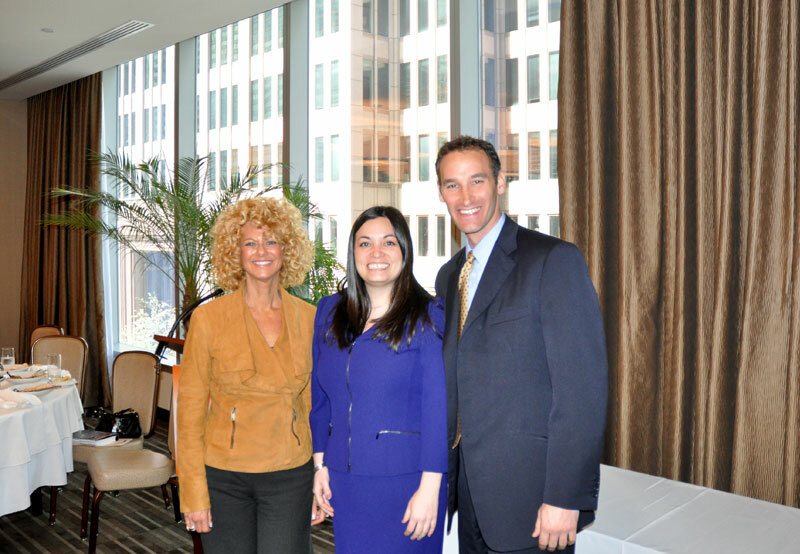 Photos from year-end events hosted by some of the Bar Association's Sections and Committees. Chancellor Rudolph Garcia outlined his agenda at the Dec. 7 Annual Meeting Luncheon at the Hyatt at The Bellevue. More than 400 people attended the program, which also included remarks from Mayor Michael Nutter and the presentation of the Justice William J. Brennan Jr. Distinguished Jurist Award and the Wells Fargo Fidelity Award. 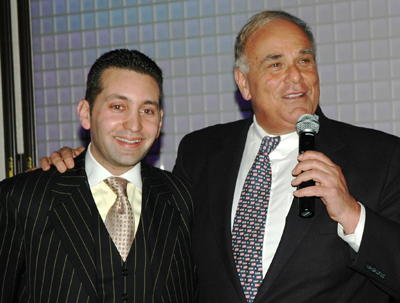 The Association's 2010 Bench-Bar and Annual Conference was held at The Borgata in Atlantic City, N.J. on Oct. 15-16. One of the highlights of the weekend was a dramatic re-enactment of the trial of John Peter Zenger. On March 31, the YLD held its Annual Meeting, where three community service awards were conferred, Chair Abbie DuFrayne offered remarks, and a speech was delivered by keynote speaker Sharon Pinkenson. 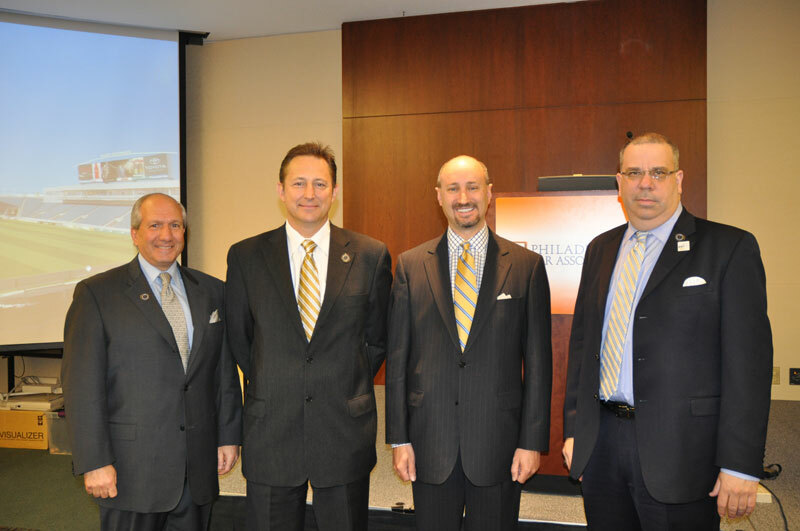 On March 29, members gathered for the kick off of the new Philadelphia Bar Association Academy featuring representatives from the Philadelphia Union, the city's newest sports franchise and first-ever major league soccer team. 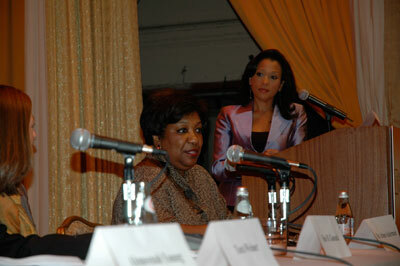 More than 350 people attended the March 17, 2010 Quarterly Meeting and Luncheon to hear CNN national correspondent John King deliver keynote remarks. Immediate-Past Chancellor Sayde J. Ladov was also honored at the event. More than 500 attorneys and judges lined up to greet new Chancellor Scott F. Cooper on Jan. 5, 2010 at the Hyatt at The Bellevue. This is the event at which even the city's busiest and most successful legal luminaries patiently wait in line to wish their leader and each other good luck. Scott F. Cooper announces his plans for the year at the Dec. 8, 2009 Annual Meeting at the Hyatt at The Bellevue. The Bar Association also presented three of its most prestigious awards at the event. Philadelphia Court of Common Pleas Judge Annette M. Rizzo received the Justice William J. Brennan Jr. Distinguished Jurist Award. Joseph A. Sullivan, co-chair of the Delivery of Legal Services Committee, was presented with the Wachovia Fidelity Award and former Chancellor Andre L. Dennis received the Chancellor's Diversity Award. More than 400 attorneys and judges convened at Harrah's Atlantic City on Oct. 23 and 24 for the Philadelphia Bar Association's Bench-Bar and Annual Conference. The program featured 13 different CLE programs as well as a discussion on the future of Philadelphia with City Council members and a report on the state of Pennsylvania's courts. There was also a sports talk program with Anthony Gargano and Ike Reese from SportsRadio 610WIP and a Hawaiian-themed reception. The Women in the Profession Committee presented the Sandra Day O'Connor Award to Temple University Beasley School of Law Dean JoAnne Epps at the June 9, 2009 Quarterly Meeting. Epps also presented the Judge A. Leon Higginbotham Jr. Memorial Public Interest Lecture. New members of the Association's Year Clubs were also recognized. Members of the Philadelphia Bar Association's Young Lawyers Division fanned out across the city to offer free legal advice during Law Week, April 27 - May 1, 2009. They visited classrooms as well as branches of the Free Public Library. Arianna Huffington, founder and editor of The Huffington Post, was the keynote speaker at the Philadelphia Bar Association's April 1, 2009 Quarterly Meeting and Luncheon. Immediate-Past Chancellor A. Michael Pratt was also honored for his service at the event. The city's busiest lawyers and judges lined up on Jan. 6 to greet Chancellor Sayde J. Ladov and wish her well on her year as Chancellor at the Annual Chancellor's Reception at the Park Hyatt Philadelphia at the Bellevue. More than 600 people attended. More than 500 people gathered at the Park Hyatt Philadelphia at the Bellevue on Dec. 8, 2008 as Chancellor-Elect Sayde J. Ladov announced her plans for her year as Chancellor in 2009. More than 400 people gathered for the Association's Oct. 20 Quarterly Meeting and Luncheon at the Park Hyatt Philadelphia at the Bellevue. 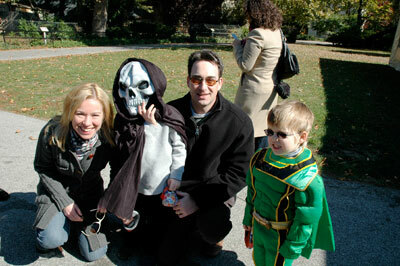 More than 170 people attended the Young Lawyers Division Family Fall Festival at the Philadelphia Zoo. Guest enjoyed food, music, zoo on wheels, and face painting. David, Andrew and Matthew Swain. More than 400 attorneys and judges gathered at Bally's Atlantic City for the Association's Bench-Bar and Annual Conference. Diversity consultant Vernā Myers leads the opening plenary session of the conference. The Philadelphia Bar Foundation's Annual Golf Classic is a perennial favorite among Bar members and an important source of support for the Foundation's annual grants program. This year's event, held July 15 at The ACE Club in Lafayette Hill, featured more than 100 golfers and raised more than $70,00 for the Foundation. 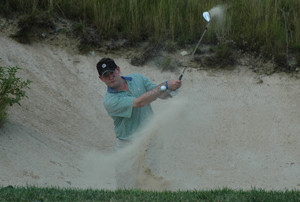 Chris Chimicles hits a great shot out of the sand. Marc H. Morial, president and CEO of the National Urban League and former mayor of New Orleans, delivered the Judge A. Leon Higginbotham Jr. Memorial Public Interest Lecture at the Association's Monday, June 30 Quarterly Meeting and Luncheon. Morial served two distinguished 4-year terms as mayor of New Orleans from 1994-2002. Former Philadelphia Bar Association Chancellor Seymour Kurland spoke on behalf of new members of the Association's 50-, 60-, 65- and 70-Year Clubs who were honored at the event. The Year Clubs recognize attorneys who have been practicing law for 50 years or more. 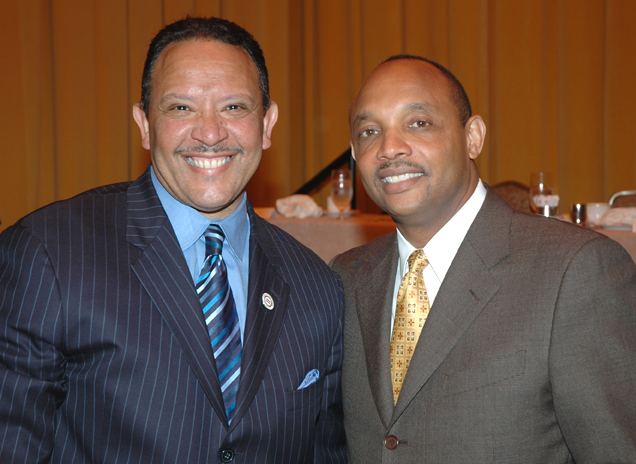 Marc H. Morial and Chancellor A. Michael Pratt. More than 200 people attended the Young Lawyers Division Annual Meeting on March 25, 2008 at g. The program featured keynote remarks by YLD Chair Scott P. Sigman and Gov. Ed Rendell, as well as the presentation of the Craig M. Perry Service Award, the YLD Vision Award and the F. Sean Peretta Service Award. Gov. Ed Rendell jokes with YLD Chair Scott P. Sigman. More than 600 attorneys, judges and friends waited patiently in line to greet new Chancellor A. Michael Pratt at the Jan. 9, 2007 Chancellor's Reception at the Park Hyatt Philadelphia at the Bellevue. Chancellor Pratt with former Chancellor Abraham C. Reich and Stephanie Resnick, chair of the Association's Board of Governors.